Image credit: War in Air, Defenders of the Philippines. My late father used to be a pilot in the Philippine Air Force. Naturally, I and my siblings used to hear wartime stories from him. Among these was this famous dogfight over Batangas in 1941 when Filipino pilots using obsolescent American-built aircraft heroically held off the Japanese. This was the same dogfight when a young officer pilot by the name of Cesar Basa, after whom Basa Air Base in Pampanga is named, bailed out after his ageing P-26 fighter plane was shot by the Japanese but was mercilessly strafed by the enemy while he hung from his parachute. History remembers Basa as the first Filipino military aviator to die in World War II. This is entirely me; but I simply assumed that that famous dogfight was fought over Fernando Air Base in Lipa City, where I was born and where my family lived until 1970. That this assumption ultimately turned out erroneous I discovered but a few days ago when I was researching material for something else. 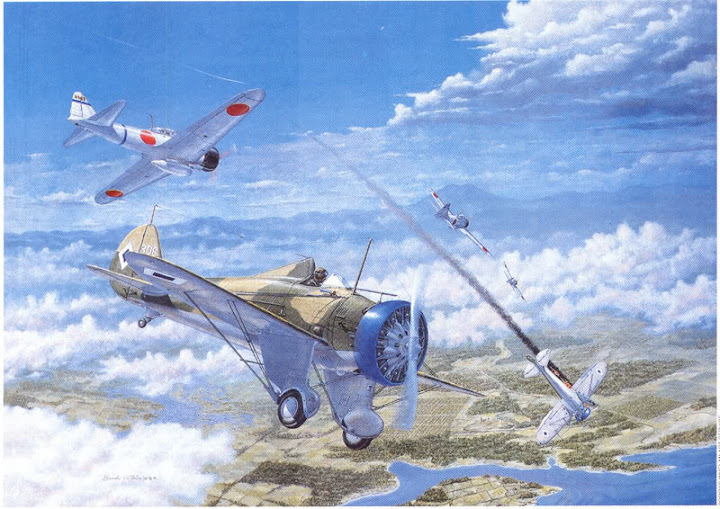 Painting by Brooks Whelan of WWII air battle over Batangas as it appeared in the Art of Flight Aviation Magazine. Scan of painting thanks to Tony Feredo. Because I spent my formative years inside Fernando Air Base, I have always known that it used to be a base of the invading Japanese forces during the last world war. As children, we used to spook each other with ghost stories at the mouths of underground tunnels that the Japanese built inside the base. An informative if unannotated article posted on a Facebook page called Kasaysayan ng Lipa says that the base was, in fact, built by the Japanese. The article, however, places the construction of the base in 1942 over what used to be a sugarcane field using both American and Filipino prisoners of war. This bit of information is corroborated by the Pacific Wrecks web site, albeit it also states that the Japanese Army 16th Division under a General Morioka repaired and expanded an airfield earlier built by the United States Army before the outbreak of war in the Pacific. If the base was built in 1942, it suddenly occurred to me, then that famous dogfight when Basa was killed must have occurred somewhere else. Wikipedia says that a squadron of P-26 fighter aircraft, led by Capt. Jesus Villamor, after whom Villamor Air Base is named, was scrambled to stop the Japanese from reaching and destroying Batangas Field. Remember that this happened in 1941; so obviously the Batangas Field that the squadron was trying to protect was not Fernando Air Base at all. This turned out to be problematical. 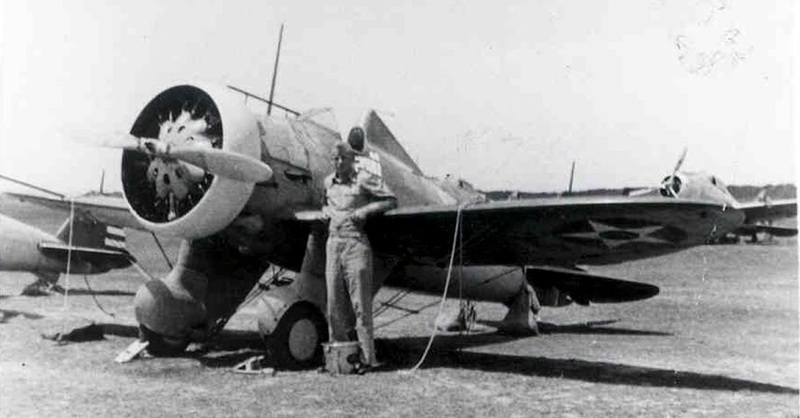 There are many references to Batangas Airfield over the Internet, and I quickly established that it was one of four airfields from which the Philippine Army Air Corps – the forerunner of the Philippine Air Force – operated. (Global Security) The problem was that none of these references gives a definitive area exactly where in Batangas the airfield was located. This description was given by a Tony Feredo, coincidentally the owner of the ShellWings web site and who is an avid fan of History, particularly aviation and coastal artillery. I sent him an inquiry and his prompt response I now happily share with all you readers. “Batangas Airfield,” Feredo wrote back, “was built 0.7 miles north of Batangas Town with a single grass surfaced runway oriented northeast to southwest measuring 3,630 feet by 250 feet.” Note that Batangas did not become a city until 1969. Feredo also sent as an attachment a map taken from a terrain study of the Allied Geographical Section of the Southwest Pacific Area Command of World War II showing the airfield in the vicinity of a locality called Cumba. Traced on Google Earth, the airfield used to be located in what is now the Kumintang Ilaya area of present-day Batangas City. One of my former students who lives in Batangas City has pointed out to me that the location appears to be present-day Camp Miguel Malvar of the Philippine National Police. Image credit: Tony Feredo. 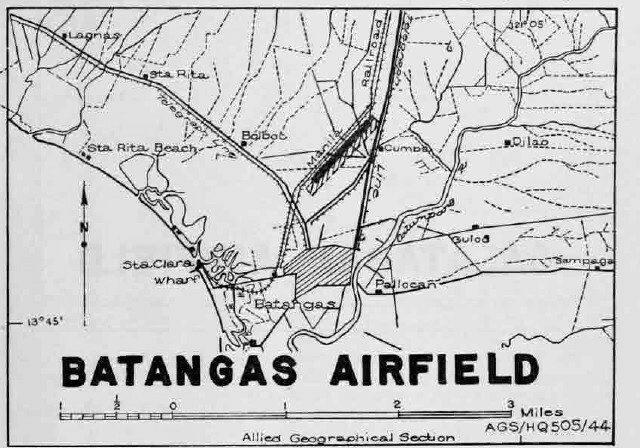 A map showing Batangas Airfield taken from the Terrain Study No. 95 of the Allied Geographical Section, Southwest Pacific Area Command. Image credit: Tony Feredo. 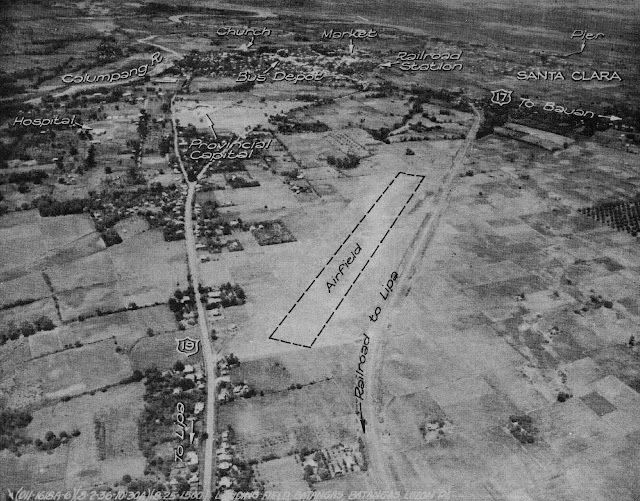 Aerial photograph of Batangas Airfield taken on 2 August 1936. Image credit: Tony Feredo. 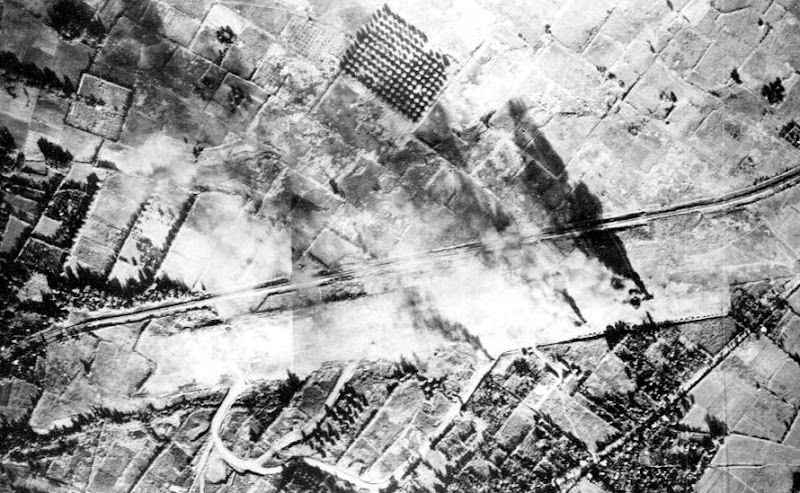 Photo of Batangas Airfield taken after an air strike carried out by US Navy planes in December of 1944. Image credit: Tony Feredo, Google Earth. Trace of Batangas Airfield from historical sources on Google Earth shows it used to be in the vicinity of what is now Kumintang Ilaya and probably present day Camp Miguel Malvar of the PNP. Of course, present day Fernando Air Base is a mere 21 kilometres from what used to be Batangas Airfield as the crow flies. It is not far-fetched to imagine that some of those dogfights could indeed have been fought in the skies over Lipa. Now that I come to think about it, I am getting some very vague recollections of my father saying exactly the same thing – that up in the air, it was easy for that dogfight to spill over to Lipa. It seems a pity now that I did not write down all of my father’s stories when I had the chance. As for Fernando Air Base, I have learned that the Japanese in fact built two airfields in the vicinity of the base’s present day location. You will all, however, have to come back to Life So Mundane in the near future when I do tell that story.